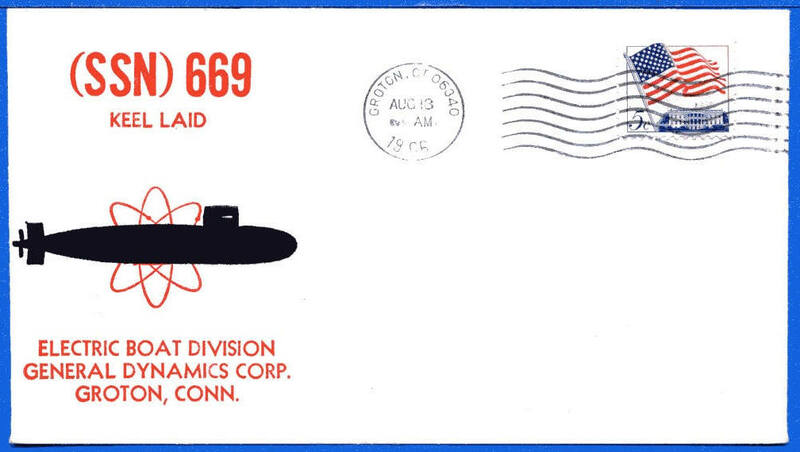 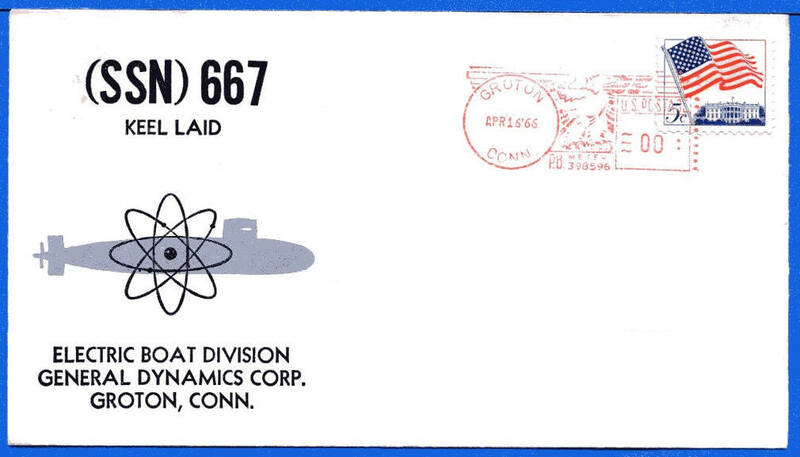 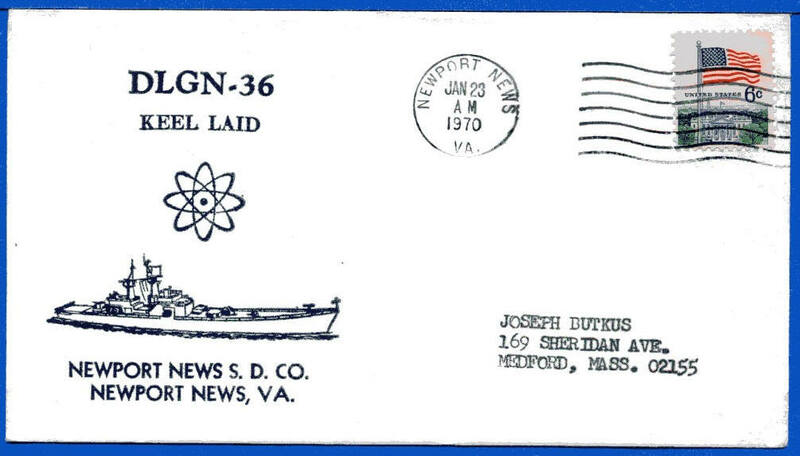 Donald Schultz was affiliated with the Nuclear Ships Chapter and probably sponsored this cover. 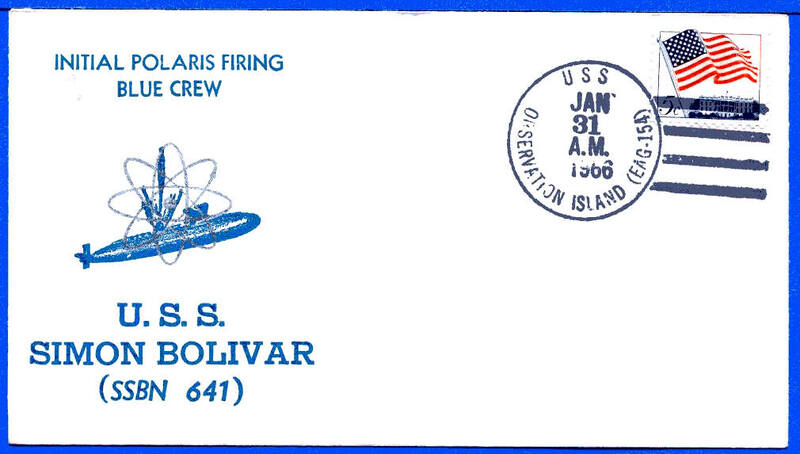 We don't know for sure. We do know that Mr. Beck printed the cachet. 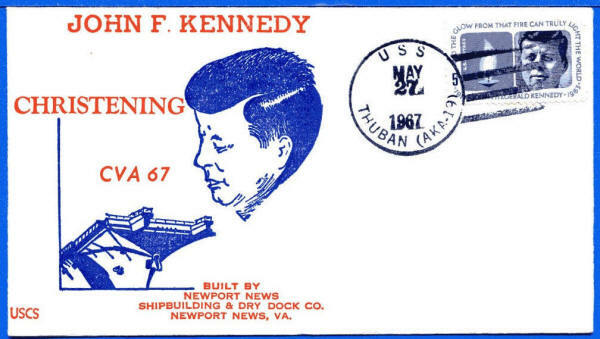 The same design was used for several events in about 1963. Note the AM in this cancel. 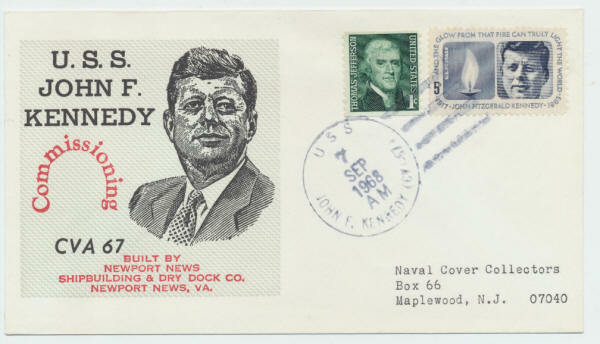 The cover directly above has the PM. 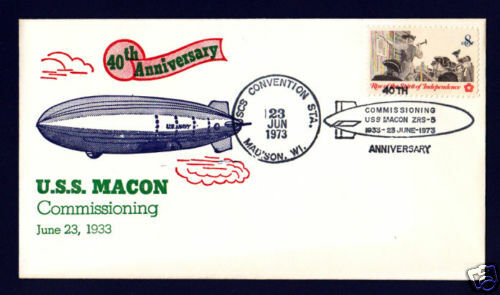 USCS convention June 23 1973. 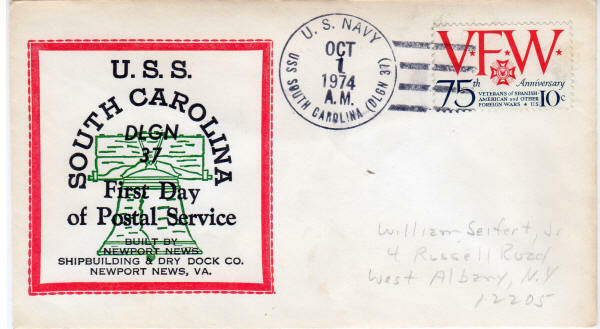 Beck printed cachet. 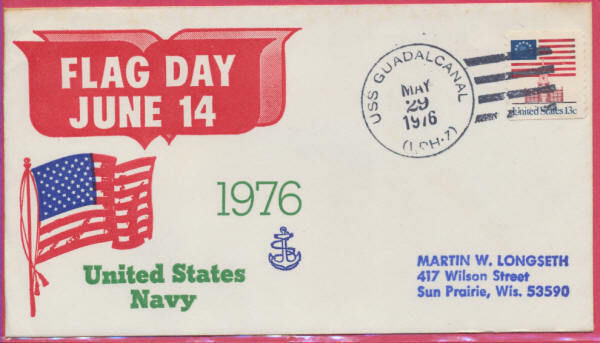 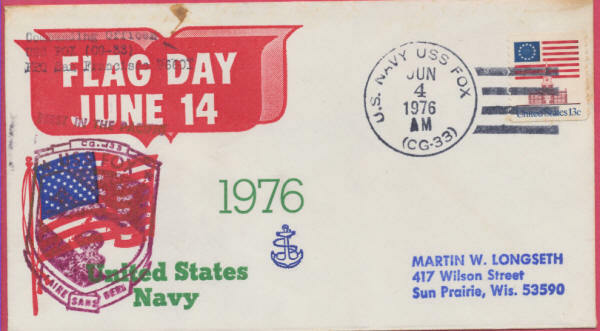 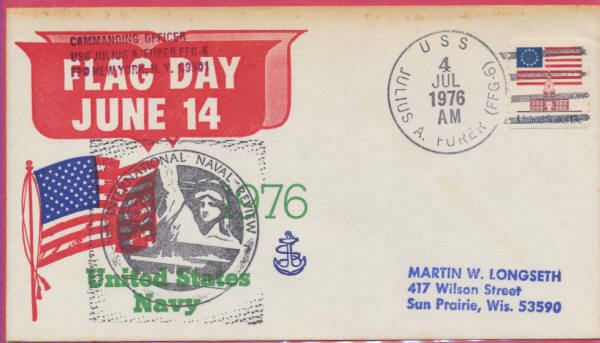 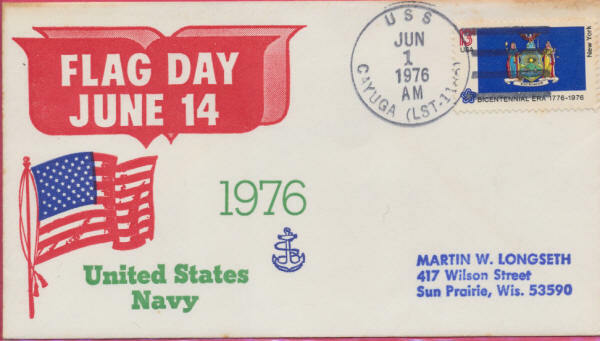 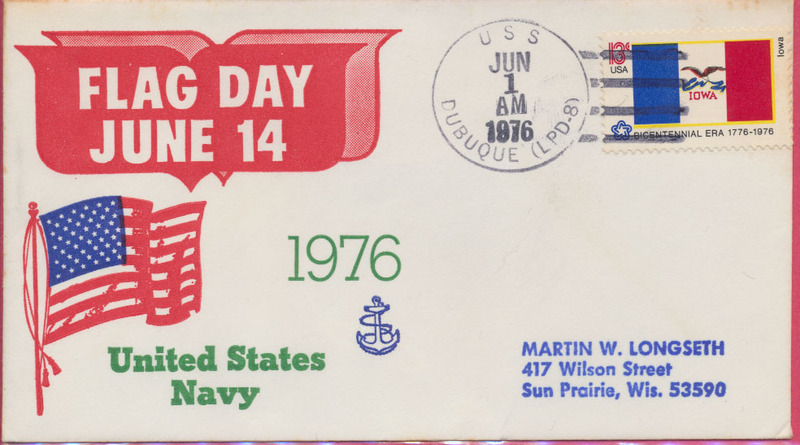 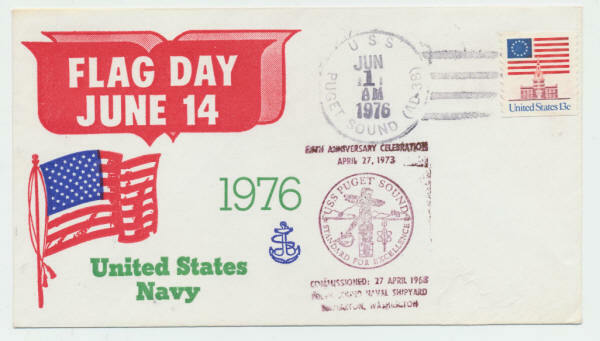 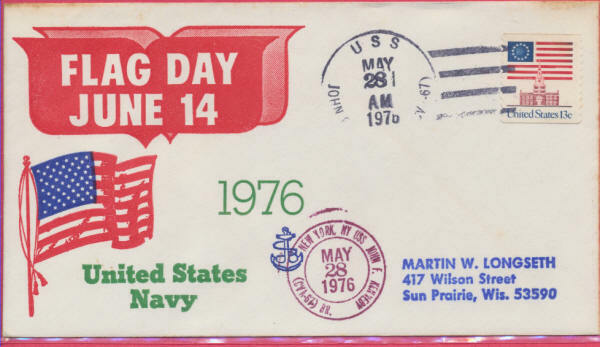 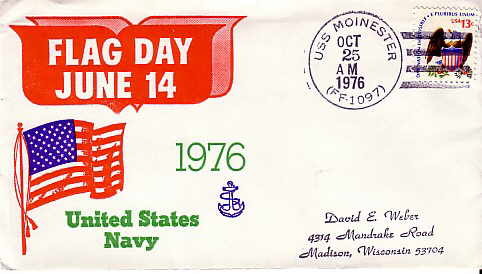 Flag Day cachet similar to Beck 915 with 1976 date. These covers were printed by Beck for Martin Longseth a collector. 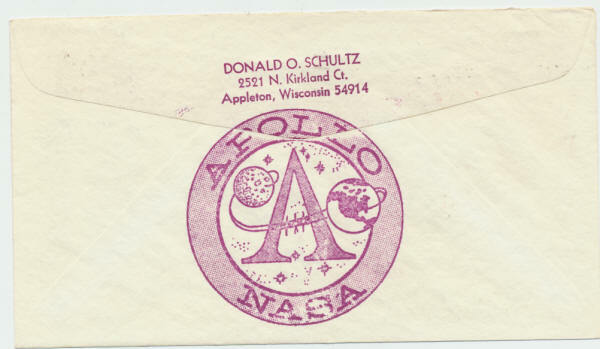 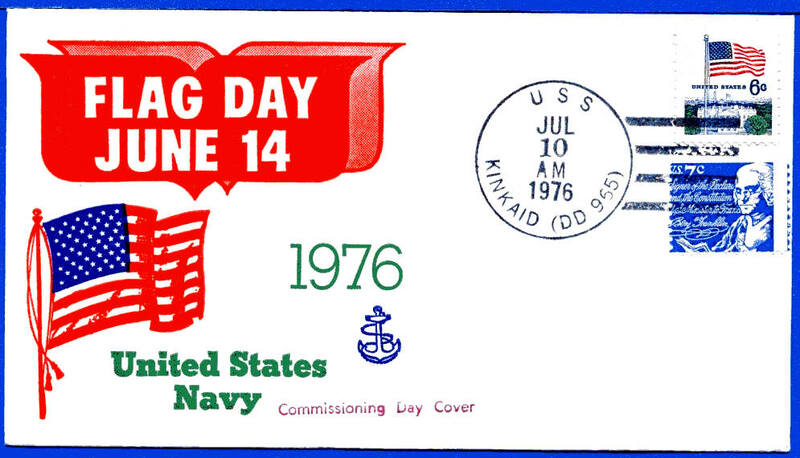 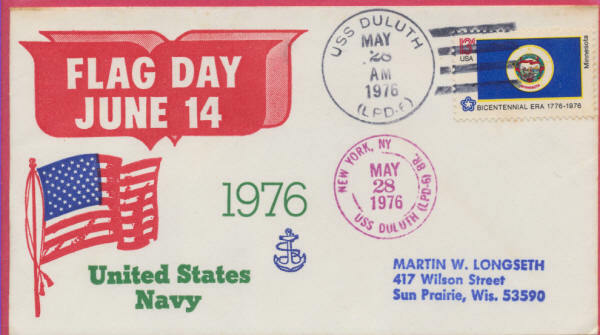 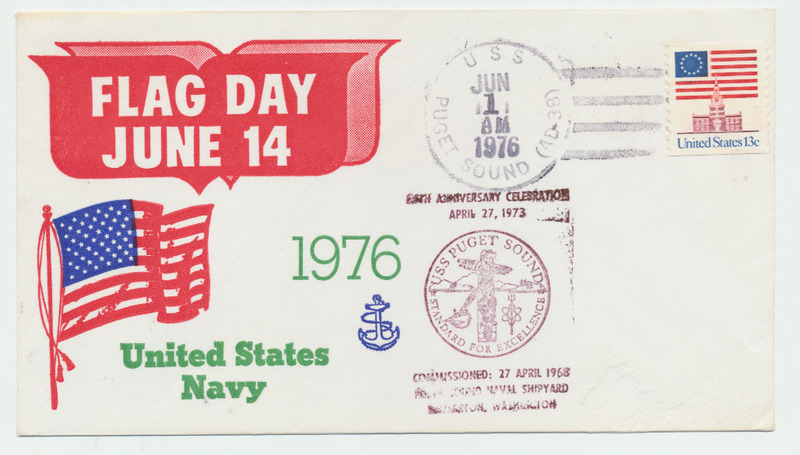 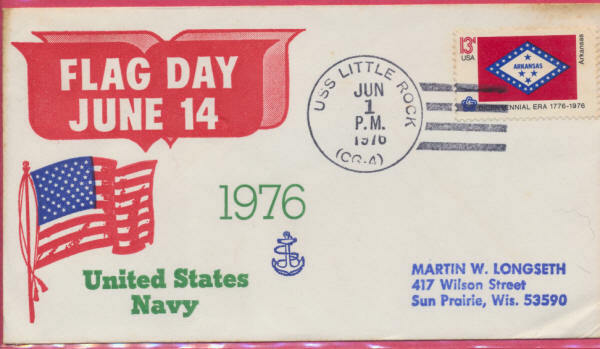 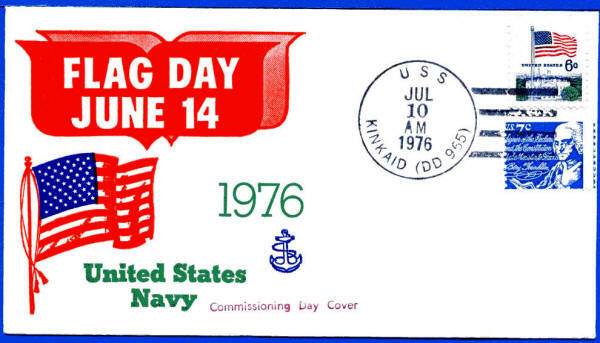 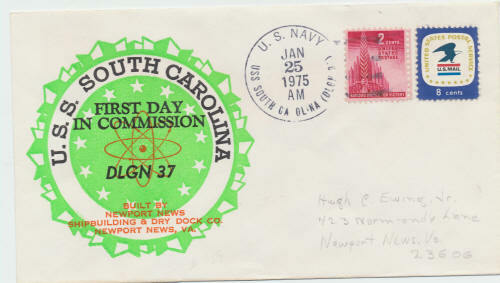 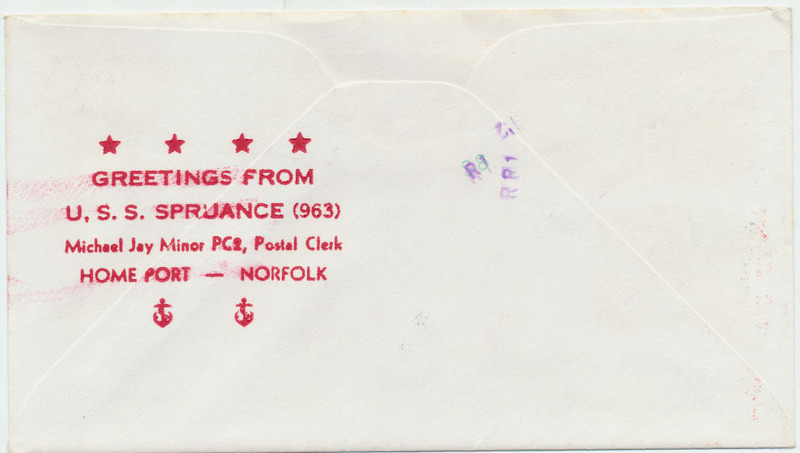 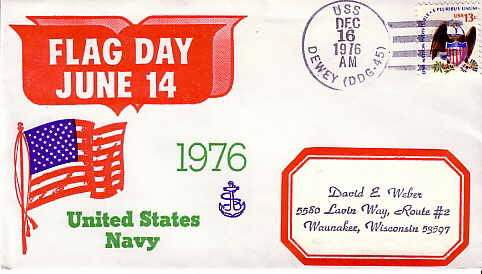 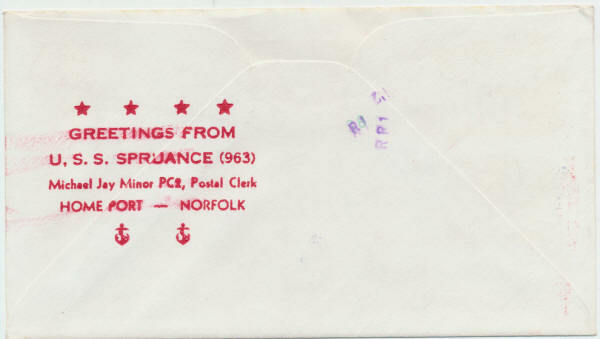 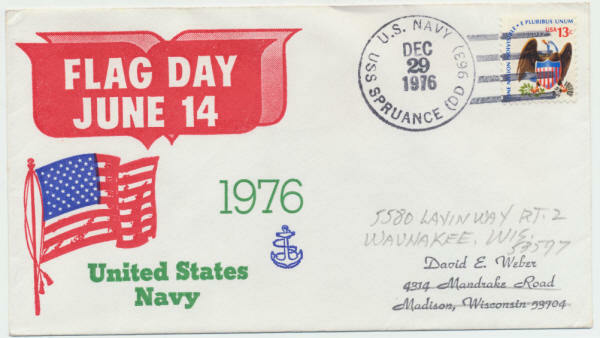 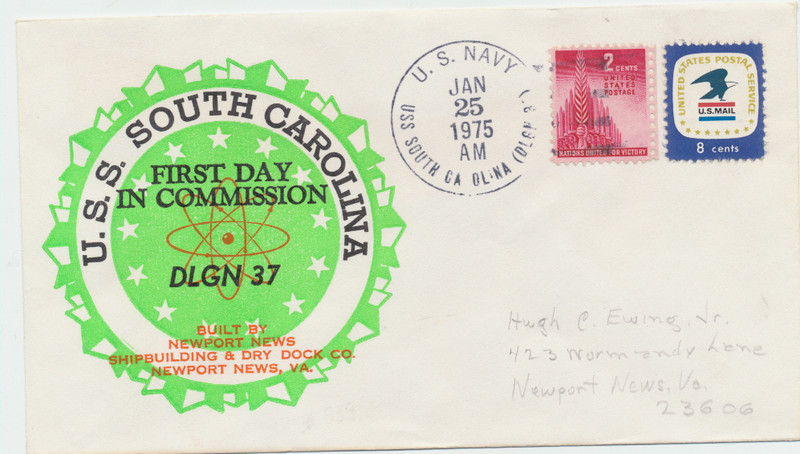 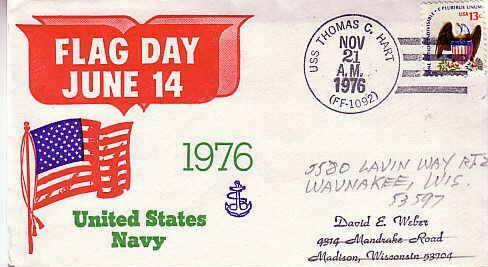 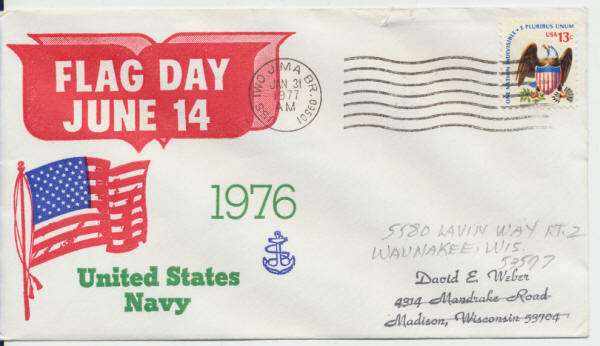 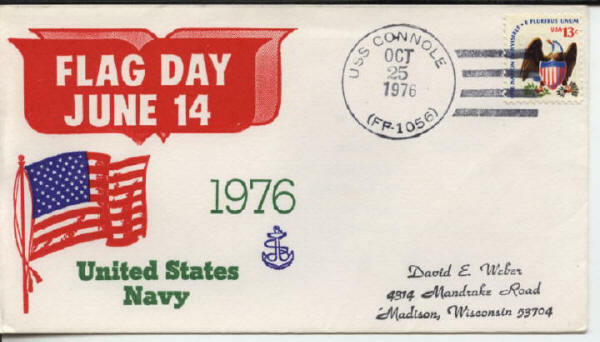 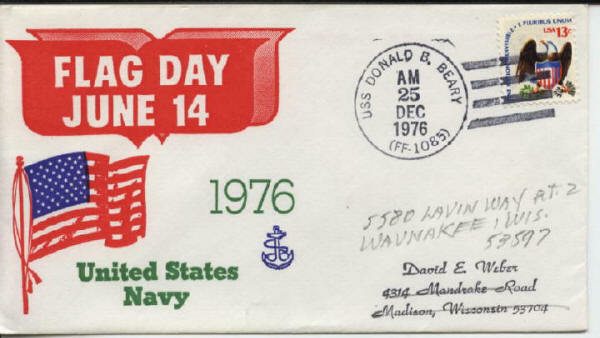 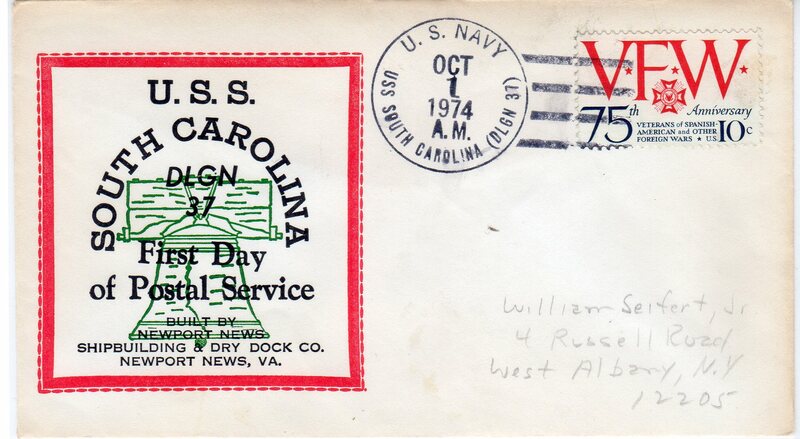 In 1976, Longseth sent this cover to every ship with a post office (about 184 ships). 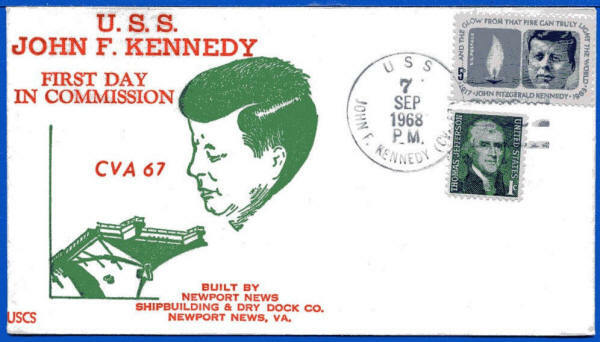 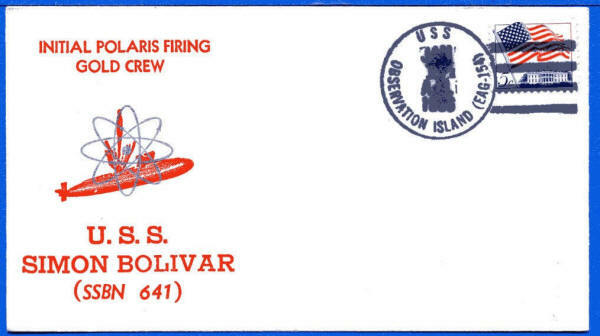 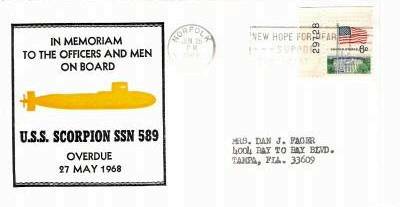 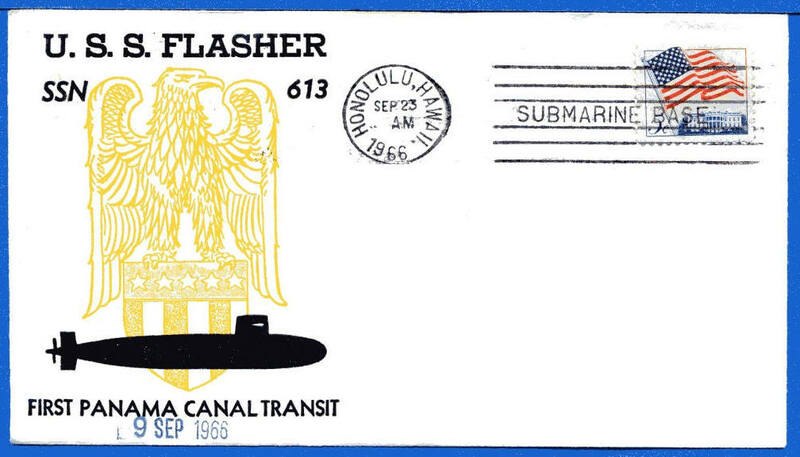 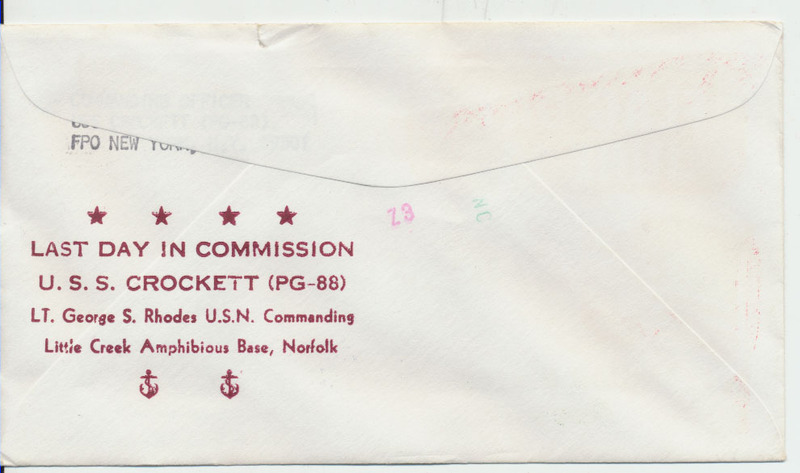 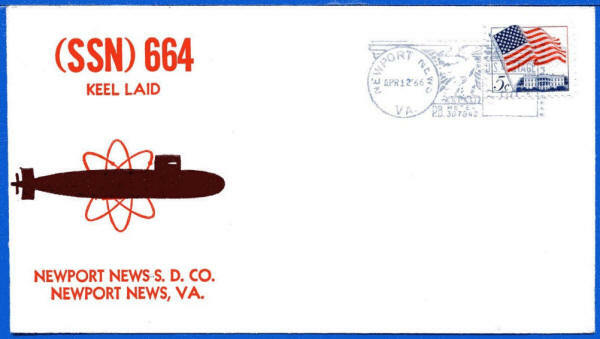 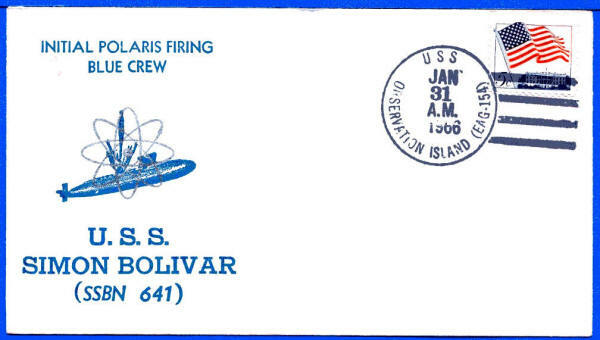 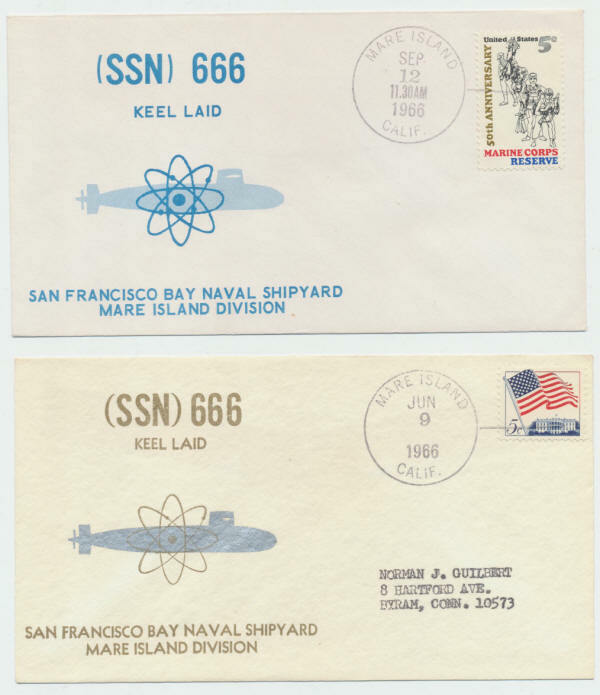 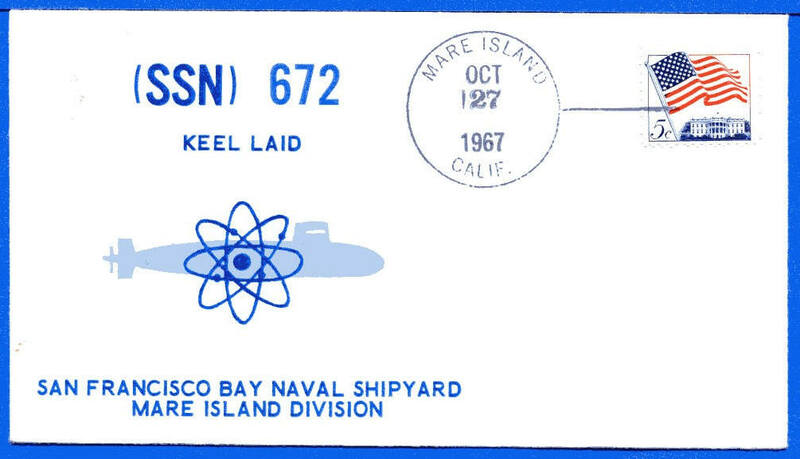 In 2014 a number of these covers with different ship cancellations sold for about $10 each. 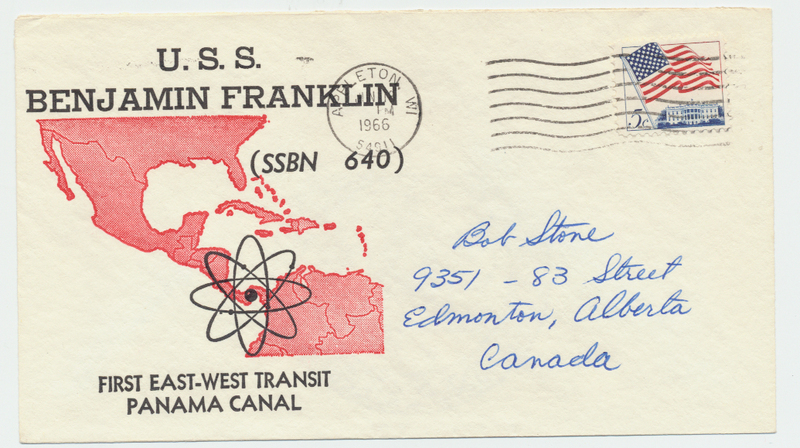 Also thanks to Richard Hoffner for information about this series. not a comprehensive list of all the covers that exist for this issue.